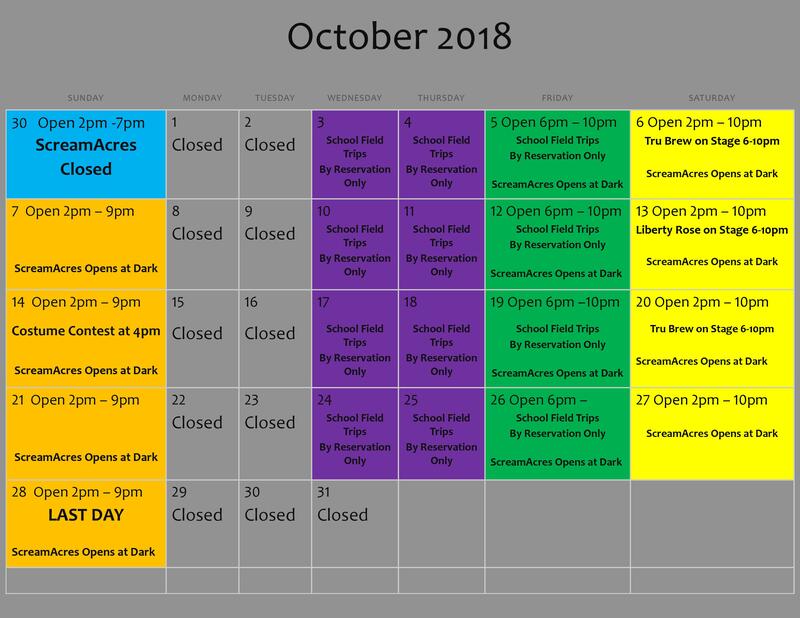 all of the activities listed with general admission except for the Corn Maize! 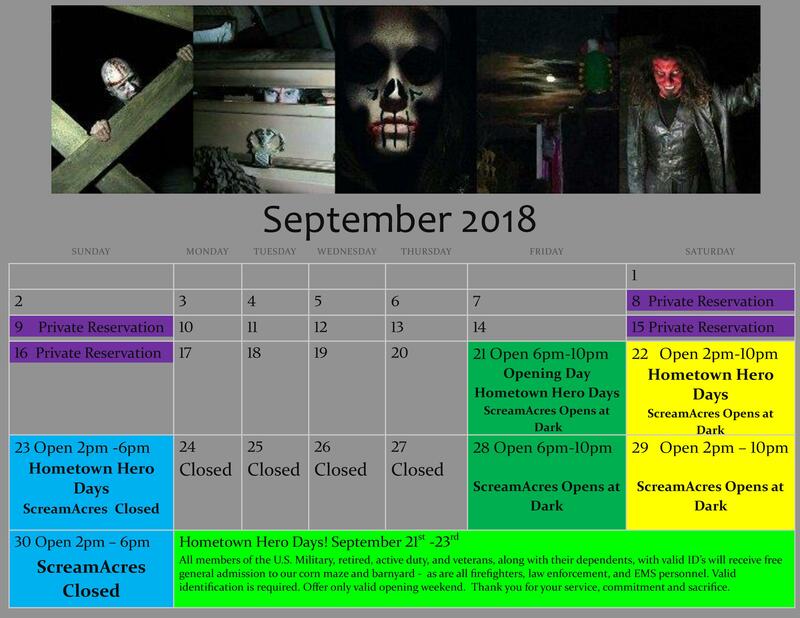 plus the Hayride, Jumping Pillow, ScreamAcres Haunted Cornfield. Visit one of our sponsors for $1.00 off your general admission coupon! Follow us on Facebook for online contests, deals, and free tickets!! plus unlimited Hayrides and Jumping Pillow! Payment options include cash and the following credit cards, we do not accept personal checks.